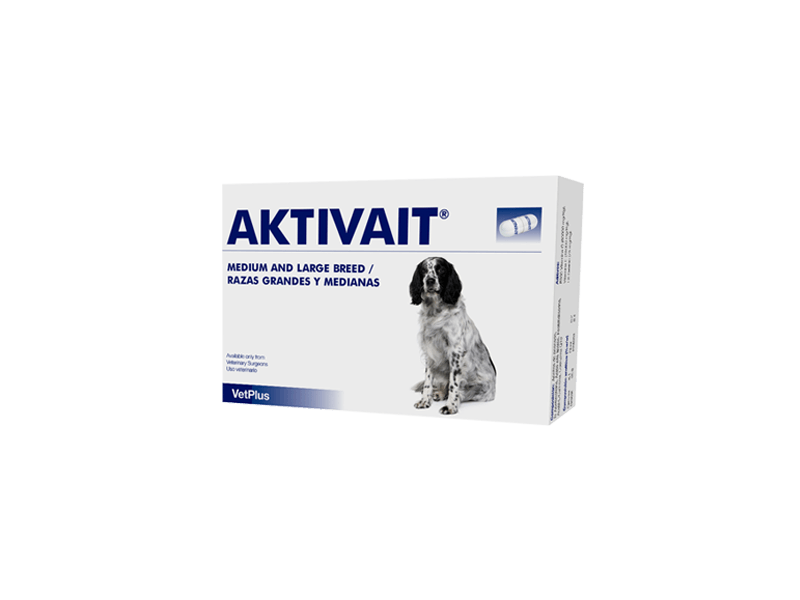 Designed to promote optimal brain function in older dogs and cats, Aktivait is a nutraceutical supplement packed with natural antioxidants and other specially selected nutrients. The product is designed to help support health and mental alertness, as well as maintaining vitality in more senior animals. 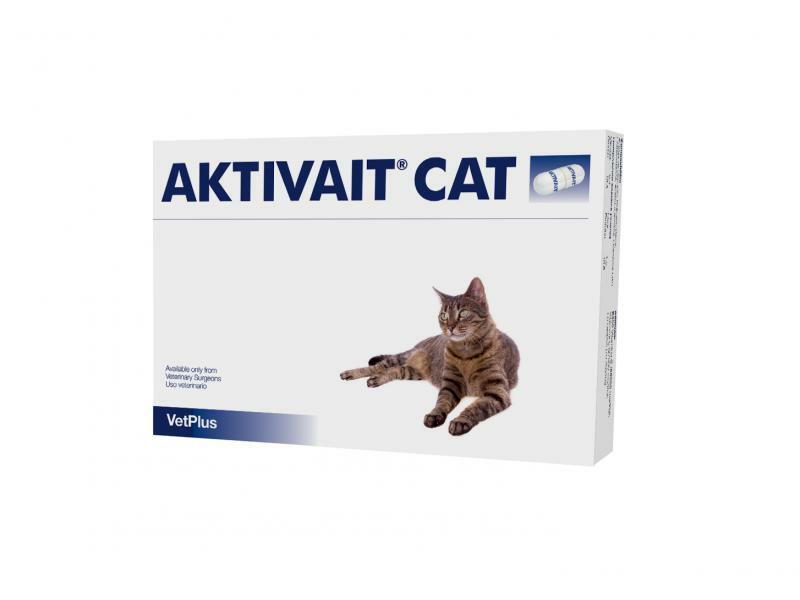 Aktivait for dogs and cats may help support overall life quality when given daily. What causes age-related behavioural changes? How does AKTIVAIT help manage these changes? When should I give my pet AKTIVAIT? How do I administer AKTIVAIT? At what rate should I give AKTIVAIT to my pet? Humans and animals produce harmful chemicals called free radicals on a daily basis. Free radicals are detremental to the body as they cause damage to cells they are in contact with. Young healthy pets can naturally produce antioxidants which neutralise these free radicals thus negating damage to cells, in particular the brain cells. However, an increase in age leads to an increase in the production of these free radicals, yet this is coupled with a decrease in antioxidant production, leading to the free radicals remaining in the body and doing damage to the brain and other cells in the body. The free radicals are one of the main contributors to the deterioration of life quality when the pet is older. AKTIVAIT is the first supplement to combine all the nutrients necessary for promoting optimum brain function. It contains a complex formula of antioxidants (vitamins C and E, selenium, co-enzyme Q and N-acetyl cysteine) and compounds necessary for optimum metabolism and function of the brain cells (carnitine, phosphatidylserine and the omega-3 fatty acids DHA and EPA). This combination of powerful ingredients helps to prevent free radical damage and improve electrical transmission between nerve cells in the brain. Cognitive dysfunction is a progressive condition that will tend to get worse with time. For optimal results supplementation with AKTIVAIT should begin as soon as any signs are seen. It can also be given to your pet from middle age onwards to help maintain normal brain function. AKTIVAIT comes in a convenient capsule so it is easy to administer, and can either be sprinkled onto your pet’s food or given whole. Noticeable improvements from AKTIVAIT® have been reported as early as 3-4 weeks after the start of supplementation but this will vary by age, breed and the severity of the changes present. A rigorous study by a world-renowned veterinary behaviourist has shown that AKTIVAIT® significantly improves the signs of cognitive dysfunction, and improves the quality of life for both the animal and owner. Below are some recent questions we've received regarding Aktivait Capsules for Dogs & Cats, including answers from our team. My 15yr old yorkie cross is 11 kilos, due to being a little overweight. His regular weight is 8-9kilo. We've just started him on 1 tablet a day, medium to large dog capsules on vet advice. If he loses weight, should he go down to small dog capsules? And, as this diagnosis has been based solely on age and behaviour, (we are giving aktivait a go to see improvement before MRI scan for something more sinister), should it turn out he doesn't have dementia, are these capsules safe to be giving him? It is always best to dose according to weight so yes he should go down to the small dog capsules if he loses weight- unless your vet advises to stay on the bigger dose. Aktivait is very safe and should not cause any problems if it turns out that your dog does not have dementia. Dose aktivait have side effect? My dog is 9years and she took a aktivait yesterday for first time in her life. and she had diarrhea today! is there any dog has simmilar symptom? or should I stop giving her a aktivate? If I order now when does it expired ? I want to know Expire date and usual possible eating days . These tablets can last for an average of 30-60 days. I do hope this helps if you have any further enquiries please do not hesitate to contact us. Is this product Ok for dogs that have epilepsy? Epilepsy is an unpredictable condition and it is usually unknown what triggers any particular seizure. However as far as we are aware there is no likelihood of Aktivait having any sort of adverse effect on a dog with this condition. If Aktivait seems appropriate for your dog otherwise, I would expect it to be perfectly safe. Is it safe to give Aktivait to my 15 y o Cocker Spaniel - she already takes amlodipine (5mg per day), fortekor, tramadol (25mg per day) and noroclav (5mg per day)? Many thanks. Safe to use with medication? My elderly pomeranian is on heart medication. Fortekor, cardisure and furusimide. Is Aktivait safe to use with these 3 things and also for heart patients. 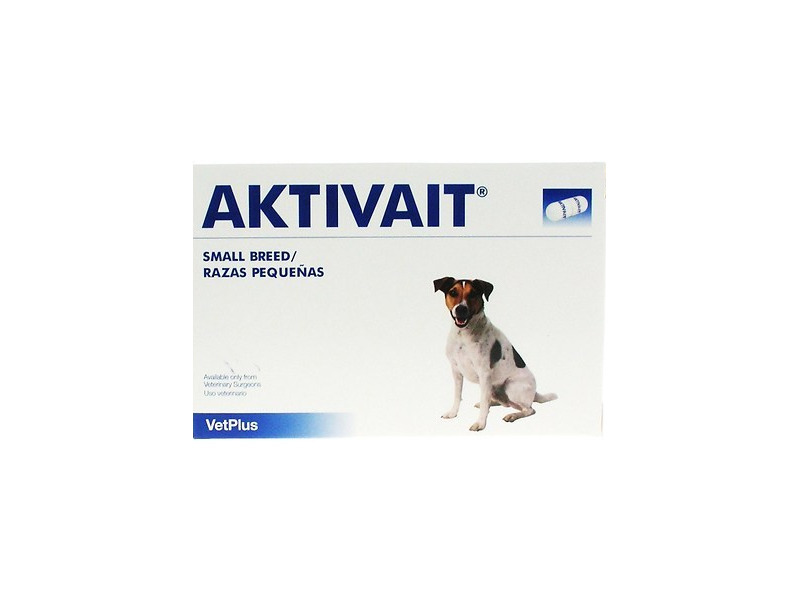 Aktivait is often given to elderly dogs with heart problems and this is safe to do. It will not interact adversely with any of the medications used to treat the heart problem. My cocker spaniel is 15 kg. does this make him small or medium/ large in terms of dosage? Medium size as far is this product is concerned is between 10kg and 20kg, so your dog is certainly medium sized. Is Activait okay with Pro Plan senior Optiage? Canine Activait, is this okay to take with Pro Plan Senior 7plus Optiage? Also is this rated better than Senilife ? What is the differnce? These products can be used together. It is very difficult to know how well they work this way and how Aktivait and Senilife compare. There will undoubtedly be variation in response between different individual dogs and so you have to try them and see how things go. This is safe to do, but there is no predicting with confidence how the different products will perform in your particular dog. I have a small dog aged 17. Hes beein on Aktivait for a few months now and has been doing great however recently it seems its not having the same effect, would it be possible for us to give him 2 tabs a day instead of 1? This should be safe but it might not make much difference. He is a great age and he might not be able to "raise his game" so well now. It is acceptable to try a higher dose and see how it goes for a while. If you do not see any further improvement, I would just keep him on the standard dose. Safe with Enacard & Soloxine? Dog is on 10mg Enacard & 0.5mg Soloxine - is Aktivait safe to use alongside these drugs? Yes you can safely add Aktivait to what your dog is already getting.